This edition of Modern Restaurant Management (MRM) magazine's "According to …" research roundup features the Good Food 100 Restaurants, fast food foot traffic in NYC, the top signs of a foodie, Mexican food trends, how the combination of 5G, AI and IoT is set to change the Americas and the appeal of natural cork. Same-store traffic was down -0.8 percent in August. It is telling that the industry posted the strongest result in the last three years, but it was not enough to escape the continued slide in guest counts. As with sales, traffic comparisons were also aided by the hurricane. Traffic for the first three weeks of August, a reasonable representation of the month’s traffic performance, dipped -1.2 percent. Although not particularly strong (April’s traffic growth was better), this represents a 0.5 percentage point improvement over July. With the national unemployment rate average at 3.9 percent over the last four months, it is no surprise that operators struggle to keep restaurants fully staffed. Things are even more difficult in certain parts of the country, with 20 states reporting unemployment of 3.6 percent or less in July. In addition to retention issues, restaurants are dealing with their own expansion and what it means for their recruiting efforts. According to TDn2K’s People Report™ Workforce Index, 43 percent of brands expect to add management staff during the third quarter of 2018, while 49 percent plan to increase their hourly employee staff. Yet restaurants are finding that adding staff in this environment is not easy. According to this report, 59 percent of companies face increasing challenges for recruiting restaurant managers. A substantial 74 percent of brands said recruiting difficulty for hourly employees increased in the latest quarter. Still, there is some good news. The latest People Report metrics indicate turnover rates for both managers and hourly employees dropped slightly in July. Considering the close relationship that exists between employee retention and guest sentiment particularly based on service (as measured by White Box Social Intelligence™) this is cause for cautious optimism going forward. Furthermore, research reveals that top performing brands in sales and traffic (as measured by Black Box Intelligence) are already ahead of the curve in people practices that enable best in class retention and guest satisfaction. Prior year events will have some unsettling effects on sales in the upcoming months. Hurricane Irma, which hit Florida and the southeast in early September 2017, will certainly impact comp sales for those areas, much the same as we reported from the Harvey effect. Other factors aside, we expect strong sales in the southeast in September. Given the magnitude of those economies, same-store sales should get a boost at a national level from the Irma effect. At the same time, the recovery period in Texas following Harvey drove sales as many residents were unable to prepare meals at home. In addition, the influx of people pouring in to provide aid also drove demand. The result is tougher prior-year comps which may impact results in those regions. Overall, given the current relative strength of the industry and September 2017’s soft results, there is room for some continued strong positive growth for the industry as we close the third quarter. The first-ever Top 500 Chain Restaurant Report 2018 Forecast has been released, with projections revealing that the Top 500 chain sales will grow 3.2 percent by the end of 2018. The full forecast is now available, providing segment- and menu category-level growth along with chain-level sales and unit counts for the leading 100 chains. After dipping to 3.0 percent in 2017, Technomic forecasts that cumulative sales growth for the Top 500 chains will increase modestly to 3.2 percent in 2018. Sales growth for full-service chains is expected to improve marginally in 2018 after having slowed to 0.9 percent in 2017. This forecast was developed as an extension of the annual Top 500 Chain Restaurant Report. Technomic leveraged year-to-date performance data from its Transaction Insights product as well as investor releases from publicly held companies. Each chain's growth trajectory from prior Top 500 reports were also considered. The Good Food Media Network released its annual Good Food 100 Restaurants list, an annual rating and economic report offering insight into the purchasing practices of chefs and restaurants and their commitment to sustainable sourcing. Conducted in conjunction with the Business Research Division (BRD) of the Leeds School of Business at the University of Colorado Boulder, an analysis of restaurants’ food purchasing data found that the overall food purchases of the 125 participating restaurants totaled $120.1 million. Of this, restaurants reported domestic spending $80.1 million on good food, which translates to a $255 million economic impact on the national good food economy. Corresponding with the economic report, the Good Food 100 Restaurants list is carefully curated based on the quantitative measurement of participating restaurants’ self-reported annual food purchasing data. Restaurants are rated with two to six links—symbolizing links in the food chain—based on the percent of total good food purchases. These purchases support state, regional and national good food producers and purveyors. To read the full economic report and learn more about the list, please visit the Good Food 100 Restaurants website. A study conducted by Blis, a global location data solutions provider, tracked unique foot traffic patterns at Burger King, Chipotle, KFC, McDonalds, and Taco Bell locations across New York City’s five boroughs over a two-week period. Chipotle is NYC’s most popular fast food chain. The people of NYC love this chain regardless of their food poisoning scandals, with an average of 405K unique visitors across all locations and boroughs. Mondays afternoons in Manhattan are the busiest time periods for Chipotle, with almost double the foot traffic of NYC’s second favorite fast food chain, McDonalds. Media planners: be careful of Staten Island. With the smallest population, the often forgotten borough has the lowest foot traffic of all, which media planners should take into consideration when apportioning budgets per regions and restaurants. Manhattan, which consistently has the highest foot traffic, would be a better bet for your campaign. No one seems to have tacos for breakfast! Across all locations and boroughs, Taco Bell was the least visited store with 20K unique visitors. During the morning hours, the foot traffic is half of what it typically is during the afternoon hours of 12-5 p.m. Brooklyn showed the most love to the chain, with Manhattan a close second. It seems like Taco Bell will be sharing the love back with their plans to open an additional 125 stores in the area before the end of the year. Manhattan sells more for lunch than it does for dinner, which is the opposite of BK and Queens. If getting a QSR (quick serve restaurant) dinner in Manhattan, people are doing it earlier than other boroughs; if going to a McDonalds or Burger King they are doing it straight after work, then it dips, then spikes again 9-10pm. Manhattan- bigger spike than other boroughs during lunch, which could imply there is a higher number of people working in Manhattan; office hour break times have a bigger impact of foot traffic than somewhere like Brooklyn. Amount of foot traffic increased between 7-8am, then a bigger spike 8-9am in Manhattan, suggesting people don't want to eat breakfast on train; rather, get to work first and then get themselves breakfast (so at a Burger King closest to their office vs their home). No one seems to have tacos for breakfast! As millennials continue to lead trends in consumer habits, foodservice operators should capitalize on the visual trend through social media to reach out to this segment, says leading data and analytics company GlobalData. In a bid to tap into this trend, Japanese sauce maker Kenko Mayo has rolled out a blue-colored salad sauce with spirulina extracts and collagen. The product’s electric blue color is due to spirulina content.Kenko Mayo added collagen and focused on its visual properties. This innovation resulted in an unusually specific healthy sauce, capitalizing on the visual trend that grips young, health conscious women. Global sentiment shows that consumers are open to trying new concepts. This still holds true for the reserved Japanese consumer; as 51 percent of Japanese women aged 25 to 34 prefer trying new products over experiences, according to GlobalData’s 2018 Q3 consumer survey. The company identified two trends that will drive the future of foodservice products. These are the trends to be connected globally via social media, and the increasingly popular trend of making products specified to consumer niches. Cassius Prempeh, Consumer Analyst at GlobalData, says: “Kenko Mayo exceeded sales expectations and its success demonstrates a shift within Asia-Pacific. Rather than companies being the first movers when it comes to trend-setting, it is the consumer needs communicated on social media that dictate the direction in which companies take their products. Indeed, according to GlobalData’s 2017 primary research, 49 percent of Japanese female consumers aged 25 to 34, share pictures of the food or drinks they consume on social media a few times a month or more, giving credibility to Kenko Mayo’s decision to target young health conscious women. Prempeh concludes: “Whether this Instagrammable food trend can fully transform the eating habits of consumers or not, what we can see is vibrant – even artificial colors – paired with natural ingredients such as spirulina becoming a key purchase driver with consumers in Asia-Pacific. Kenko Mayo blue salad sauce’s success indicates that as long as there is a platform to post pictures, consumers will continue to pay more attention to the visual qualities of the food that they consume. A new study of 2,000 Americans found that over half (56 percent) would even go so far as to consider themselves a “foodie.” Being a self-described “foodie” means that you like to try new foods (56 percent), want to learn more about the origins of foods (47 percent), and, of course, can cook a quality meal (42 percent). You also might be a “foodie” if you have an understanding about food pairings, and even able to pronounce words like prosciutto (prō-ˈshü-tō) and bruschetta (brü-ˈske-tə).The new survey, conducted by the Consorzio del Prosciutto di Parma, also found that the average American will have their “taste awakening” at age 31, the age they feel their palate has fully matured. Interestingly, only 14 percent of those aged 55 or older reported that they feel they have a very sophisticated palate. That same group was also least likely to describe themselves as a foodie. Compare that to the 36 percent of survey respondents aged 18-24 who said they have a very sophisticated palate. Finding yourself bored with the food you eat? Try learning some history about it. 56 percent of Americans reported that learning about the history and origins of certain foods actually helps them enjoy it more. Cooking is also an integral aspect of discovering one’s food passion, with 92 percent of respondents saying good cooking is its own art form. But what inspires us to finally pick up the pots and pans and get cooking? Well, according to the results, our biggest influence is our parents, with 41 percent saying they first got inspired to cook watching their parents cook growing up. Desiring to recreate an old family recipe was a reason 29 percent of Americans have felt inspired to cook.Dinner parties are also a fun way to share your food passion with friends as your palate matures, and, according to the results, Americans will host their first dinner party at age 26. And with the average American hosting four dinner parties every year, impressing your guests with what you bring to the table is a must. And now a new generation is being examined and observed, Generation Z, those born 1997 to present and a larger group than Millennials. Many Gen Zs, a cohort NPD recently studied for its Make It Happen for Gen Zs report — were raised by Gen X parents who taught them to understand the purpose of food and how it fits into a well-lived life. As a result, this generational cohort has set expectations that food and food brands will follow their needs and not the other way around. When older Gen Zs, now young adults, plan their dinner they exhibit the same life stage behaviors that Millennials and other generations did as young adults. They are constantly blurring the line between access (how fast it gets to them) and convenience (how easy it is to use). Where the Gen Z generation differs from other generations is that they are growing up in a globally connected and fast-paced world and they expect flavors of the world to be available. This is a generational behavior trait that will most likely follow them through their life stages. Hospitality Technology’s 7th annual Customer Engagement Technology Study finds that mobile, social and consumerization of technology continues to dominate technological change and the CET landscape within the hospitality industry. The 2018 Customer Engagement Technology Study surveyed hotel and restaurant executives in addition to consumers to determine how tech deployments stack up against what guests really want and will influence decisions. The top six restaurant mobile features currently available to consumers are related to commerce and include: restaurant search with location-based integration (74 percent), mobile payments (63 percent), receive and redeem coupons and deals (61 percent), mobile ordering (56 percent), loyalty program management (56 percent), and gift card purchases and redemption (54 percent). With the rise of voice controlled devices (such as Amazon’s Alexa and Google’s Home), HT expects to see significant growth next year among restaurants offering the capability to order food through these devices. Currently only 7 percent of restaurants offer this capability, however, 28 percent of guests say they want it. -Mobile app use is also becoming ubiquitous. For those that offer a mobile app to guests, the most common features include room reservations (80 percent), loyalty program management (57 percent) and a calendar of events (50 percent) for on property activities, and check-in and -out capabilities (48 percent). -Gaps exist between what consumers want from a hotel's mobile app and what is currently offered. Top functionalities and features guests want on a mobile app include: room reservations (68 percent), ability to change/manage reservations (65 percent), ability to receive and redeem coupons or other promotions (63 percent), ability to book award travel (54 percent), and the ability to control guestroom atmospherics such as lighting and temperature (55 percent) as top priorities. The average gap between top customer demands and hotels’ offered capabilities is between 35 to 40 percent. It will be important for hoteliers to address such key gap areas to empower their guests, create friction-free service, and provide the ultimate in guest convenience. Technology is disrupting the hospitality industry and redefining how services are delivered and the very essence of the guest experience. While the technology capabilities today are impressive, they will be even more so in the future. Customers want service delivery choices, speed, convenience, empowerment, and value in addition to technology. Brands that master this will create outstanding, memorable guest experiences, generate loyalty, and win competitive advantage. To download the 2018 Customer Engagement Technology Study, click here. The U.S. wine market reached 344.7 million nine-liter cases in 2017, an increase of 1 percent, according to the Beverage Information Group's 2018 Wine Handbook. That's down from a 2.4 percent gain in 2016, perhaps a sign of the category's struggle to compete with spirits and beer for share of beverage alcohol occasions. As with the previous year, sparkling wines—up 5.8 percent in 2017—drove the growth. This marked the 16th consecutive year of increases for the total sparkling category. Strong sales of rosé and wines in the $15+ per-bottle price points also contributed: Consumers have discovered that sparkling wines are not just for special occasions and rosés are not just for warm weather. Table wine saw modest growth of 0.8 percent to 311.8 million cases sold in 2017, led by a 1.2 percent increase of imported wines. This amount represents 90.5 percent of the total U.S. wine category, the Wine Handbooknotes, although some of the major table wine brands are struggling to capture consumer attention that's been lost to other products such as bourbon and craft beer. Millennials are more interested in trying new flavors than adhering to one style or one brand, so they buy across different categories, countries and varietals of wine. These consumers are interested in specific wine varietals and drawn to eye-catching label art and a strong brand story. Higher quality boxed/canned wines are changing consumers' negative perceptions of this wine packaging. Two of the major boxed wine brands posted double-digit growth in 2017, according to the Wine Handbook. Red wine blends have also increased in popularity. Consumers no longer look at the term "blend" as a negative but rather a sign that a wine is fine-tuned and flavorful. New data released today by The Good Food Institute (GFI) shows that U.S. retail sales of plant-based food sales grew an impressive 17 percent in the past 12 months, with total sales now topping $3.7 billion. Comparatively, total U.S. retail food sales grew just 2 percent during the same time period. Plant-based meat sales alone have increased 23 percent in the past year, with the U.S. retail market now worth $684 million. The top five plant-based meat brands by total sales are Morningstar Farms, Gardein, Lightlife, Beyond Meat, and Boca. The fastest growing plant-based meat brand is Beyond Meat with sales up 70 percent, followed by Field Roast (+68 percent), Gardein (+51 percent), Dr. Praeger’s (+44 percent), and Quorn (+31 percent). The data reveals a nationwide shift, with sales of plant-based meat growing double-digits across all nine U.S. census regions, particularly in the country’s center. Refrigerated plant-based meat sales are growing fastest in the Mountain region, while frozen plant-based meat sales are growing fastest in the West South Central region, which includes Texas. Plant-based milk is now sold in 89 percent of all retail outlets and commands 13 percent of total retail milk sales nationally. Following in the footsteps of the now nearly ubiquitous plant-based milk category, the fastest growing plant-based products are “other dairy alternatives,” including creamers with sales up 62 percent followed by yogurt (+54 percent), cheese (+41 percent), and ice-cream (+40 percent). “The plant-based meat category today is reminiscent of the plant-based milk category about 10 years ago, when growth began to really take off,” observes Caroline Bushnell, Senior Marketing Manager at GFI. ”As it follows that trajectory, reaching share of market parity with plant-based milk would make the retail plant-based meat category worth almost $10 billion. The custom data set represents retail sales of plant-based foods that directly replace animal products, including meat, seafood, eggs, and dairy, as well as meals that contain direct animal ingredient replacements. Milk is defined as ready-to-drink liquid milk products, and excludes condensed, evaporated, and canned milk products. This data was obtained over the 52-week period ending August 11, 2018 from Nielsen’s Expanded All Outlets Combined Channel channel – which includes grocery stores, drug stores, mass merchandisers, club stores, dollar stores, and military stores – plus Whole Foods Market. In honor of National Hispanic Heritage Month, Cacique, Inc. partnered with a panel of the world's top culinary talent to release predictions for What's Next in Mexican Cuisine. As an authority in Mexican food, Cacique curated a group of the world's top Mexican and Mexican-American chefs to share their takes on what will impact the culinary world in the coming year and develop custom trend-forward recipes that can be recreated by anyone at home. Led by Cacique's long-term partner, award-winning chef and TV personality Aarón Sánchez, the panel consists of Chef Bricia Lopez of Guelaguetza in Los Angeles, Chef Richard Ampudia of La Esquina in New York City, Chef Santiago Gomez of Cantina La Veinte and Tacology in Miami, and Chef Wes Avilaof Guerrilla Tacos in Los Angeles. With Mexican eateries spanning the United States – from casual taquerias to fine-dining restaurants – the trend forecasters offer a carefully curated range of expert perspectives. 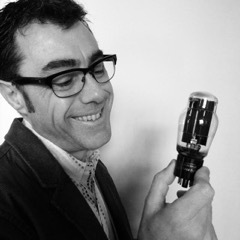 A recent study published in the International Journal of Hospitality Management found that wine drinkers in a blind taste test rated the same wine 10 – 13 points higher for appearance, taste, aroma, and overall quality, when they were led to believe by visual cues that the wine was closed with a natural cork as opposed to a screw cap or a synthetic cork. The 310 participants did not know they were actually tasting the exact same wine. The aim of the study was to investigate the association between wine bottle closure type and consumer perceptions of intrinsic wine attributes. The global Baking Ingredients Market size is expected to value at USD 19.4 billion by 2025. The market is subject to witness a substantial growth due to the varying food preferences and increasing consummation of packaged and processed food. Additionally, factors such as growing need for longer shelf life of food product, and rising need for organic ingredients in the final baked product is anticipated to boost the market growth over the forecast period. Baking ingredients are considered as a vital part of baking industry. Globally, the baking ingredients market is predicted to grow at a CAGR of 5.8 percent in forecast period, providing numerous opportunities for market players to invest in research and development in the market. Baking ingredients like enzymes, additives, softening agents, and baking powders are increasingly utilized for the processing of baked goods similar to bread, patties, muffins, rolls, tartlets, and tarts. Growing demand for superior quality bakery products with the enhanced flavor, texture, taste and odor are estimated to complement the growth of the market in upcoming years. Additionally, increasing contribution from end-user sector involving bread, cookies, biscuits, muffins, rolls, tartlets and tarts are further expanding market reach of the baking ingredients industry. The rise in end user's inclination towards bakery products and increasing concern among general population for healthy dietary supplements is anticipated to drive the market demand during the forecast period. Recent developments in baking ingredients industry and introduction of innovative products are spurring the demand for bakery products in both developed and developing economies across the globe in near future. However, inflation, health consciousness among young population, and stringent laws & regulation regarding excessive use of artificial flavors are negatively affecting market growth, in the recent years. Yet, rapid urbanization and increasing per capita income in developing economies across the globe are leading to the rise in consumption of baked food. Rise in production and large consumer base in developing countries is expected to propel the overall market growth. On-the-go food lifestyle and need for convenience food in developed economies is boosting the demand over the forecast period. Varying food patterns and rise in personal expenditure majorly in the developing economies are some of the key factors responsible for boosting the growth of the baking ingredients market in coming years. Bread is considered as one of the fastest growing segment in the market with substantial revenue generation in the last couple of years. Growing consummation of bread is credited to high nutritional content and affordability to the price sensitive customers in the developing economies. Baking ingredients in the cakes & pastries segment has also witnessed significant growth owing to the increased consumption of snack items and availability of freezers in retail stores. In addition, numerous initiatives and growing advertisement by industry players to include the bakery ingredients in the packaged food products and other applications are substantially contributing to the advancement of baking ingredients industry over the forecast period. Furthermore, major emphasis on the consummation of food products with high nutritional value by consumers in developed economies are propelling the growth of yeast ingredients market during the forecast period. The market is divided by region as North America, Europe, Asia-Pacific, Latin America and Africa. European region has shown major growth in recent years owing to the changing food habits, increasing demand for demand for packaged and processed food, and existence of prominent industry players in the region. Asia-Pacific region is predicted to hold major market share in the baking ingredients market with massive growth in forecast period. Countries such as India, China and Japan are leading the Asia-Pacific market with shifting preference towards western style food, rise in per capita income and significant investment by leading industry players considering potential growth opportunities in the region. The globalized food system is not delivering the diets that people need for a healthy life, but instead contributes to obesity and overweight especially in countries that are importing most of their food, FAO Director-General, José Graziano da Silva said today. "Unfortunately, commodities and industrialized cheap food are much easier for international trade," Graziano da Silva said, addressing participants of a technical workshop on food safety and healthy diets organized by the Vatican's Pontifical Academy of Sciences. The problem is rife in the small island developing states in the Pacific, which have to import most of their food, with obesity rates ranging from more than 30 percent in Fiji to 80 percent among women in American Samoa. In at least 10 Pacific Island countries, more than 50 percent (and in some up to 90 percent) of the population is overweight. The overconsumption of imported industrialized food high in salt, sodium, sugar and trans fats is the major driver behind this situation. Estimates indicate that today 2.6 billion are overweight and that the prevalence of obesity in the global population has increased from 11.7 percent in 2012 to 13.2 percent in 2016. "If we do not adopt urgent actions to halt the increasing obesity rates, we soon may have more obese people than undernourished people in the world," Graziano da Silva said. "There are several underlying factors driving the global pandemic of obesity. Unhealthy diets are the most significant one." He pointed to the increased availability and accessibility of food types that are very energy-dense, high in fat, sugar and salt, whose sales have been spurred on by intense marketing and advertising. "Fast and junk food is the best example of that. This kind of food is cheaper, and easier to access and prepare than fresh food, particularly for poor people in urban areas," Graziano said, noting that when resources for food become scarce, people choose less expensive foods that are often high in caloric density and low in nutrients. The consumption of these cheap foods comes however, at a high cost to society with obesity a risk factor for many non-communicable diseases such as heart disease, stroke, diabetes and some cancers. "Countries should have in place laws that protect healthy and local diets, and encourage the private sector to produce healthier food," Graziano da Silva said. These could include taxes on unhealthy food products; clear and informative labelling of products; restrictions of advertising for junk food to children; and, a reduction in the levels of salt and sugar used to produce food, or even banning the use of some ingredients such as trans fats. Governments should also encourage food diversification, and facilitate market access for local products from family farming, for example, school feeding programmes that link local production to school meals, thus boosting the local economy while promoting healthy diets for children. The FAO Director-General also said trade agreements must be designed in ways that make local nutritious food cheaper to produce, while restricting the influx of imported cheap food that are high in fat, sugar and salt. He also stressed the importance of education, including school curricula that teach children about healthy cooking and healthy food choices, and greater access to information for consumers to promote awareness and healthier dietary choices. The global meat substitutes market size is expected to reach USD 5.81 billion by 2022, according to a new report by Grand View Research, Inc. The market is expected to witness a healthy CAGR of 7.5 percent during the forecast period. Growing preference for vegan diet coupled with rising health awareness is expected to fuel market demand in the near future. Industry rivalry is bound to remain medium over the forecast period owing to a handful of market participants. Some of the market participants are Amy's Kitchen, Inc.; Beyond Meat; Vbites Foods Ltd.; Blue Chip Group; MorningStar Farms; Cauldron Foods; and MGP Ingredients, Inc.
Breakfast in America is full of familiar comfort foods. Yet with each passing year our concept of comfort food becomes increasingly artisanal and international. Breakfast trends at both retail and foodservice are adapting to these evolving tastes, requiring food industry players to adjust to satisfy consumers, according to Packaged Facts in Bundle: Breakfast Trends and Opportunities, a new three report collection of market research studies on breakfast retail, foodservice, and culinary trends. 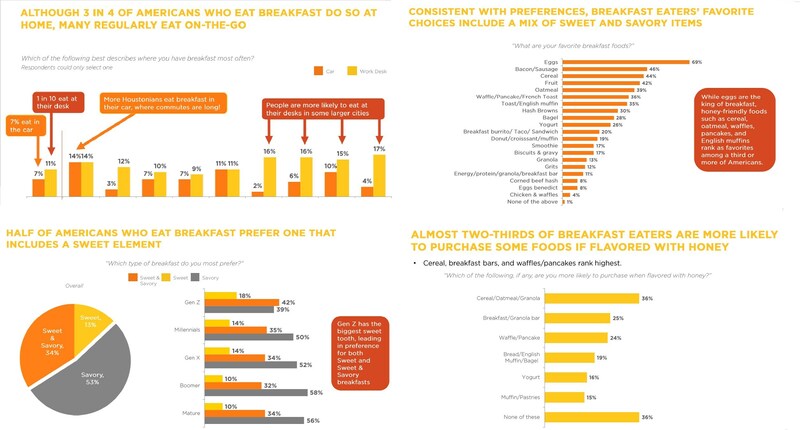 "Now more than ever, success as a marketer and manufacturer in the breakfast food industry requires understanding that breakfast trends at both retail and foodservice reflect a growing consumer state of mind that the most important meal of the day is one that can be experienced in a multitude of ways," says David Sprinkle, research director for Packaged Facts. In the report Packaged Facts reveals that more than half of U.S. households agree that breakfast is more important than lunch or dinner. Consumers who believe in the superiority of breakfast above all other meal times are dubbed "breakfast believers" by Packaged Facts. The market research firm found that women, adults over age 65, African Americans, and Hispanics emerge as demographics with greater propensity to be breakfast believers. Based on a variety of factors and trends, Hispanics are positioned to be among the most influential "breakfast believers". Accounting for more than 60 million in 2018, Hispanics represent almost 19 percent of the U.S. population and are expected to grow 9 percent through 2020. This growing presence combined with an impressive collective buying power requires marketers to leverage strategies in order to appeal to the respective traditional and cultural values of Hispanics and other multicultural consumers. Packaged Facts points to the growing popularity of breakfast bowls and breakfast hash as culinary trends that have gained prominence on restaurant menus in part because they are formats that welcome all kinds of global flavor influences, such as Asian and Hispanic ingredients. "Race and ethnicity emerge as distinguishing characteristics in breakfast usage and habits. With an increasingly diverse population, it's prudent for breakfast marketers and restaurateurs to understand the importance of targeting households across the cultural spectrum," says Sprinkle. Foodservice is arguably leading the charge in catering to consumer demand for globally inspired and authentic breakfast foods that extend beyond breakfast bowls. For example, there's the burgeoning Asian breakfast trend, where thrill-seeking chefs and customers look eastward in the morning to breakfast banh mi, congee (savory rice porridge), a.m. fried rice, bao, the crepe-like Chinese jianbing, and other Asian inspirations. And don't forget breakfast specialties with Hispanic sabor that have gone next-generation, including chilaquiles and migas, which target not just Hispanics, but all the ravenous Millennials looking for what's next. Whether it's the slurp of a honey banana smoothie or the crackle of fresh bacon, breakfast is what gets many of us out of bed in the morning. A new survey conducted by the National Honey Board highlights how the U.S. does breakfast, just in time for both National Honey Month and Better Breakfast Month in September. Americans in the Northeast are twice as likely to love bagels. According to survey data, those in Philadelphia, New York, and Boston are much more likely to indicate bagels as a breakfast favorite (39-43 percent) compared to Southern cities such as Atlanta, Houston, and Dallas (13-19 percent). Those that consider themselves environmentally-friendly are more inclined to favor toast and fruit for breakfast as well as hot tea with honey. According to the survey, 47 percent of environmentally-friendly individuals choose fruit, 40 percent choose toast, and 48 percent choose tea with honey. About half of Americans who eat breakfast prefer one that includes a sweet element. Gen Z is the most likely to enjoy a sweet breakfast, with 60 percent reaching for something with a sweet element versus 47 percent overall. The city most likely to grab for granola is Seattle. The survey shows that one in four Seattleites enjoy the crunchy breakfast treat, which was higher than any other city. One in three Americans who eat breakfast would be more likely to eat healthier foods when flavored with honey. According to the new market research report "Gluten-free Products Market by Type (Bakery Products, Snacks & RTE Products, Pizzas & Pastas, Condiments & Dressings), Distribution Channel (Conventional Stores, Specialty Stores, Drugstores & Pharmacies), and Region – Global Forecast to 2023", published by MarketsandMarkets™, the market is estimated to be valued at USD 4.48 billion in 2018 and is projected to reach USD 6.47 billion by 2023, at a CAGR of 7.6 percent. The market is driven by an increased diagnosis and awareness of celiac disease and other food allergies as well as health benefits associated with the adoption of special dietary lifestyles. The Gluten-free Products Market, by type, is estimated to be dominated by the bakery products segment. This is mainly due to increasing preference for the bakery products, which are staple foods in North America and Europe; countries in these regions are also known to have the highest number of gluten-intolerant population in the world. However, the awareness among the general population in these regions of celiac disease and health benefits associated with the consumption of gluten-free products is high, which has translated into increasing demand for gluten-free bakery products. Of the various distribution channels, the conventional stores segment is projected to witness the fastest growth during the forecast period. The conventional stores segment includes various subsegments such as grocery stores, mass merchandisers, warehouse clubs, and online retailers. Conventional stores are an economical alternative and have become a popular choice for consumers who prefer gluten-free products. The European market is projected to grow at the highest CAGR from 2018 to 2023. Increasing incidences of celiac diseases and gluten sensitivities have led to high demand for gluten-free products in the region. Additionally, a majority of the region's populace has also been adopting gluten-free diets owing to the various health benefits associated with them, despite not being gluten-intolerant. Growing preference for gluten-free diets has widened market opportunities for numerous global gluten-free product brands to enter the region and many local patisseries, bakeries, and confectioneries brands to be able to tap into this consumer space. The global commercial seaweed market size is anticipated to reach USD 22.13 billion by 2024, according to a new report by Grand View Research, Inc. The global market is estimated to witness a healthy CAGR of 8.9 percent during the forecast period. Rising demand for seaweed-derived food products is estimated to boost the industry growth over the next few years. Growing product application scope in fertilizers, animal feed, and healthcare and medical sectors is also boosting the market demand. Furthermore, growing popularity of seaweed extracts such as agar, carrageenan, and alginate is also likely to drive the commercial seaweed market. Increasing product application scope in the pharmaceutical sector is projected to boost the market growth. Various properties of commercial seaweeds such as thickening and gelling, which are applicable in hydrocolloid industries, is expected to drive the market further. Regulations regarding the production and harvesting of seaweeds concerning human consumption, animal feed, and agricultural use is expected to augment the market. Seaweeds serve as a major food product in Asia Pacific region. Increased consumption of organic foods is expected to fuel the product demand in the coming years. Some of the prominent companies operating in this industry include E.I. DuPont Nemours and Company; Cargill, Inc.; Roullier Group; Compo GmbH & Co.; and Biostadt India Ltd. Global Pea Protein Market is expected to reach USD 313.5 billion by 2025. Peas are the seeds from pod fruit pisum sativum, rich in protein that plays important role in animal feed and human food. It has a great amino acid profile. It is obtained by refining proteins in yellow peas. It helps to reduce cholesterol, increase muscle, lower blood pressure, and improve satiety. Moreover, 55-65 percent pea proteins are globulins and 18-25 percent albumins and the pea plant improves soil fertility. About 22-23 percent, proteins are found in pea seeds. Main pea storing proteins, convicilin, legumin, and vicilin are globulins and represent 65-85 percent of total proteins. The Pea Protein Market is estimated to grow at a significant CAGR of 17.4 percent over the forecast period as the scope and its applications are rising enormously across the globe. Changing lifestyle by accepting healthier lifestyle, rising anxiety towards lactose intolerance, expansion of nutraceutical industries, and high demand for gluten free products are documented as major factors of Pea Protein industry that are estimated to enhance the growth in the years to come. However, lack of awareness among populace regarding pea protein may restrain overall market growth in the coming years. Pea Protein Market is segmented based on type, form, application, and region. Textured, isolates, concentrates, and other types could be explored in Pea Protein industry in the forecast period. Isolates sector estimated to lead the overall market with substantial market share in the coming years. This may be because of its use as texturizing agents in meat goods as it has good water-binding characteristics, high amino acid content, high solubility, and extraordinary emulsification. The two main forms of Pea Protein are wet textured and dry textured that could be explored in the forecast period. Dry textured pea protein sector accounted for the substantial market share of Pea Protein and is estimated to lead the overall market in the coming years. This may be because of rising use in bakery products, nutritional health supplements, and meat. In addition, liquid textured sector is estimated to grow at fastest pace in the years to come. The market may be categorized based on applications like snacks & bakery products, beverages, dietary supplements, meat extenders & analogs, and others like confectionery & meat enhancers could be explored in the forecast period. Dietary supplements sector accounted for the substantial market share of Pea Protein in terms of volume and is estimated to continue its dominance in the coming years. This may be because of expansion of nutraceutical industry in developing countries, growing awareness among populace regarding nutritious and healthy diet, and rising domestic consumption of nutritional supplements. Also, bakery sector is estimated to grow at fastest pace in the coming years. Globally, North America accounted for the substantial market share of Pea Protein in terms of volume and value and is estimated to lead the overall market in the coming years. The reason behind the overall market growth could be high demand for gluten free products in the United States, increasing concern regarding cardiovascular diseases, and growing sports nutrition industry. Instead, Europe and the Asia Pacific are also estimated to have a positive influence on the future growth. Europe is the second largest region with significant market share. However, Asia Pacific is estimated to grow at fastest pace with the highest CAGR in the foremost period. The aspects that may be ascribed to the growth comprise rising awareness among food & beverage producers and high demand in developing countries like India and China as pea protein have high nutritional value. The key players of Pea Protein Market are Sotexpro, A&B Ingredients, Nutri-Pea Ltd., Farbest Brands, Axiom Foods Inc., Roquette Freres, and The Scoular Company. These players are concentrating on inorganic growth to sustain themselves amongst fierce competition. As companies all over the world have to believe that alliance with a market would permit them proportional market existence and authority to declare the leadership position. At the 2018 Mobile World Congress Americas, the GSMA issued a new report, ‘Intelligent Connectivity: How the Combination of 5G, AI and IoT Is Set to Change the Americas,’ highlighting how the region is set to benefit from the age of ‘intelligent connectivity’ or the fusion of high-speed 5G networks, artificial intelligence (AI) and the Internet of Things (IoT). The in-depth report, which draws on interviews with senior representatives from mobile operators including AT&T, Rogers and Sprint, outlines the key sectors that will benefit most from intelligent connectivity, including entertainment, transportation and manufacturing. Download the report at www.gsma.com/IC/report/. Almost half of businesses invest at least $500,000 in digital marketing every year, according to a new survey from The Manifest, a business news and how-to website. Forty-one percent (41 percent) of businesses spend at least $500,000 on digital marketing annually, and 81 percent spend at least $50,000. Investment in digital marketing is likely to increase every year, experts say. Almost every business plans to invest more time and money in digital marketing. Among businesses that use digital marketing, nearly all (99 percent) plan to increase their investment in at least one channel in the next year. Businesses place considerable value in digital marketing and want to invest more in it because customers spend much of their time online. Most businesses plan to increase their investment in a combination of digital marketing channels, with social media (64 percent) and websites (55 percent) topping the list. Experts say both channels are easy investments for businesses and deliver clear returns. Businesses want to invest more in social media and a website because they are easy investments with measurable results. Among businesses that rely solely on in-house staff and software for digital marketing, nearly one-third (32 percent) plan to outsource their digital marketing within the next year. Outsourcing digital marketing can help a business receive essential external perspective, experts say. The Manifest’s 2018 Digital Marketing Survey included 501 digital marketers from U.S. companies with more than 100 employees. Read the full report here. Vitamin D: Fewer than 25 percent of infants get the recommended amount of vitamin D, which the body needs for strong bones and teeth. The American Academy of Pediatrics recommends a daily vitamin D supplement for infants who are exclusively breastfed or receive less than a liter of infant formula per day. Similarly, about 80 percent of 1- to 3-year-olds fall short on vitamin D. Milk and yogurt are good food sources of vitamin D.
Need some new side dishes they'll love? Bake "fries" from a variety of vegetables including zucchini, eggplant, carrots and butternut squash. Offer fruit at meals and snack time, including fresh, frozen, jarred and canned versions. Try mixing fruit into your child's yogurt or whole grain cereal. Get creative with a fruit smoothie for a refreshing treat on a hot day. Rates of exclusive breastfeeding in Africa and Asia are 1.5 times higher than those in North Americawhere only 26 percent of infants under six months receive breastmilk exclusively. A new report released today by the United States Department of Agriculture (USDA) found that 1 in 8 households (11.8 percent) in the United States encountered difficulty at some time during 2017 in providing enough food for all their members. This represents a decline of 0.5 percentage points from the previous year's data. Still, the improvements are not enough to overcome the effects of the Great Recession as there are still more households experiencing hunger now than in 2007. According to USDA, 40 million Americans face hunger, including 12.5 million children. Some of the groups experiencing the highest rates of food insecurity include households with children led by single women (30.3 percent) and people living below the poverty level (36.8 percent). "We are pleased to see that food insecurity rates have decreased in recent years, but still 40 million Americans facing hunger is a statistic that no one should be comfortable with," said Matt Knott, president of Feeding America. "As policy makers debate legislation that could impact millions of households, we urge Congress to protect SNAP and increase TEFAP funding, programs that are critical to our work to address hunger, in the farm bill." Additionally, the report looked at the variety of methods households employ to meet their food needs. For instance, more than half (58.4 percent) of food-insecure households below 185 percent of the federal poverty line reported participating in one or more of the three largest federal food and nutrition assistance programs (SNAP, NSLP, and WIC) in the previous 30 days. The report, Household Food Security in the United States in 2017, is published by USDA's Economic Research Service and reports on data collected in December 2017. The report also presents statistics on how much households spent on food, and the extent to which food-insecure households participated in federal and community food assistance programs for 2017.